Remain voters are to blame for the Brexit mess, according to a Doncaster opinion poll. We asked readers to have their say on who was to blame for the Brexit mess and how they would like to see the situation resolved. 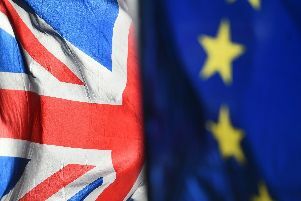 And Doncaster, a staunch Leave voting area, has placed the blame firmly at the door of Remain voters in the poll, which attracted more than 1,000 votes. 23% of people in our survey said Remainers were to blame for Brexit stalling – ahead of MPs (18%) and former Prime Minister David Cameron who held the 2016 EU Referendum (16%). 14% said current PM Theresa May was at fault while former UKIP leader and prominent Brexiteer Nigel Farage attracted 11% of the vote. A whopping 53% said that walking away from the EU without a deal was the best option with 32% calling for Article 50 to be revoked and Brexit cancelled. Only eight per cent of those surveyed called for a second referendum. Doncaster voted by 69% to 31% to leave in the 2016 Referendum. Who is to blame for the Brexit mess? How would you like to see Brexit resolved?